This summer was supposed to be an experiment for me. 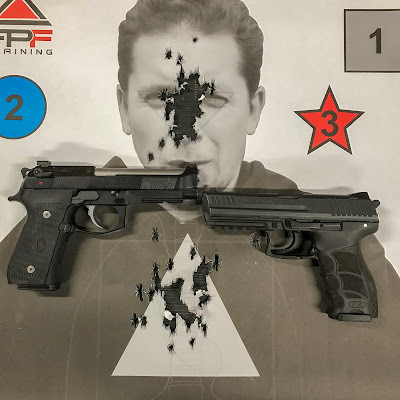 Having had good experiences on the 2,000-round tests with the HK P30L and the CZ-75B Omega, I was going to spend three months or so extensively shooting several of the better traditional DA/SA guns on the market with an eye toward adopting one as my next carry gun. This would coincide with me switching to an AIWB holster, having lost a bunch of weight. Well, all that got put off by the broken collarbone, so now it's going to be the autumn of Traditional Double Action instead of the summer of ditto. 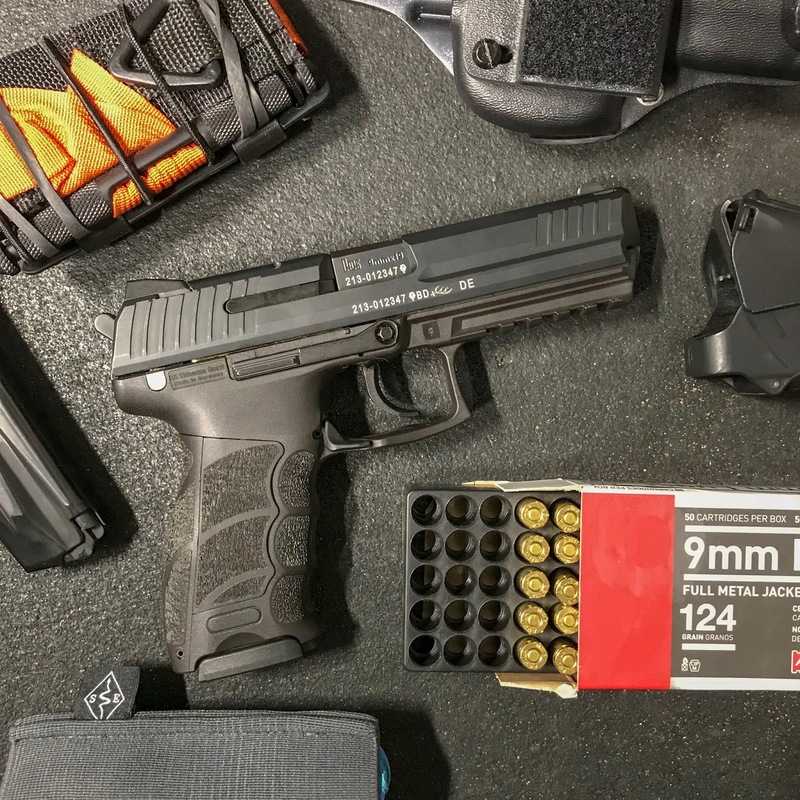 My HK P30L just got back from Grayguns, where it had received their Reduced Reset Carry Perfection Package. The DA pull is indeed lighter and smoother, and the shorter reset is immediately noticeable. Also on deck was the Langdon Tactical Beretta 92 Elite LTT. The trigger on this thing is phenomenal. 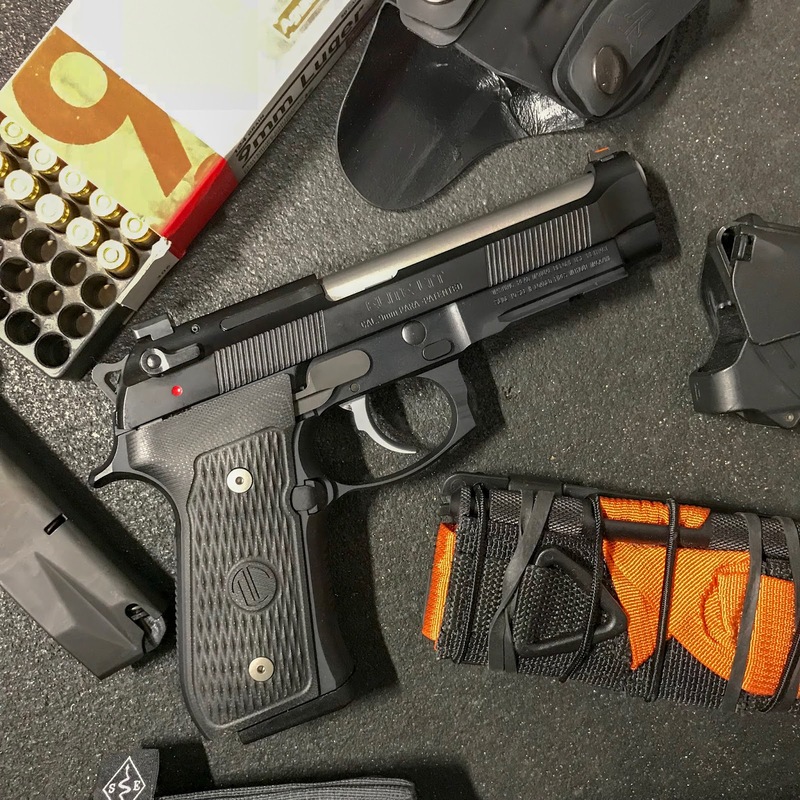 Between the "D" mainspring and the Wilson Combat trigger bar and a few other enhancements, it's among the nicest DA/SA triggers I've played with. This target was from me just railing on the guns, doing big goofy mag dumps from seven yards. It was a busy weekend. Can't lose a fight you're not in.